Josh (Twitter: @ananalytical) is an experienced information security leader with broad experience building and running Security Operations Centers (SOCs). Josh is currently co-founder and chief product officer at IDRRA and also serves as security advisor to ExtraHop. Prior to joining IDRRA, Josh served as VP, CTO for emerging technologies at FireEye and as chief security officer for nPulse Technologies until its acquisition by FireEye. Prior to joining nPulse, Josh worked as an independent consultant, applying his analytical methodology to help enterprises build and enhance their network traffic analysis, security operations, and incident response capabilities to improve their information security postures. He has consulted and advised numerous clients in both the public and private sectors at strategic and tactical levels. Earlier in his career, Josh served as the chief of analysis for the United States Computer Emergency Readiness Team (US-CERT) which he built from the ground up and subsequently ran the network, endpoint, and malware analysis/forensics capabilities for US-CERT. In addition to Josh's blogging and public speaking appearances, he is also a regular contributor to DarkReading and SecurityWeek. The combination of simple, straightforward, and methodical ingredients are the keys to developing a balanced and well-rounded security program. Even the best chefs will produce an inferior product if they begin with the wrong ingredients. If you can't get straight answers about popular industry catchphrases, maybe it's time to ask your vendor: How do you actually use the technology? A healthy body and a healthy security organization have a lot more in common than most people think. A little bit of self-awareness goes a long way when it comes to evaluating a company's security maturity level. It's also a prerequisite to improving. If you don't invest in your best security talent, they will look to burnish their resumes elsewhere. Here's why. Far too often, organizations approach automation as a solution looking for a problem rather than the other way around. 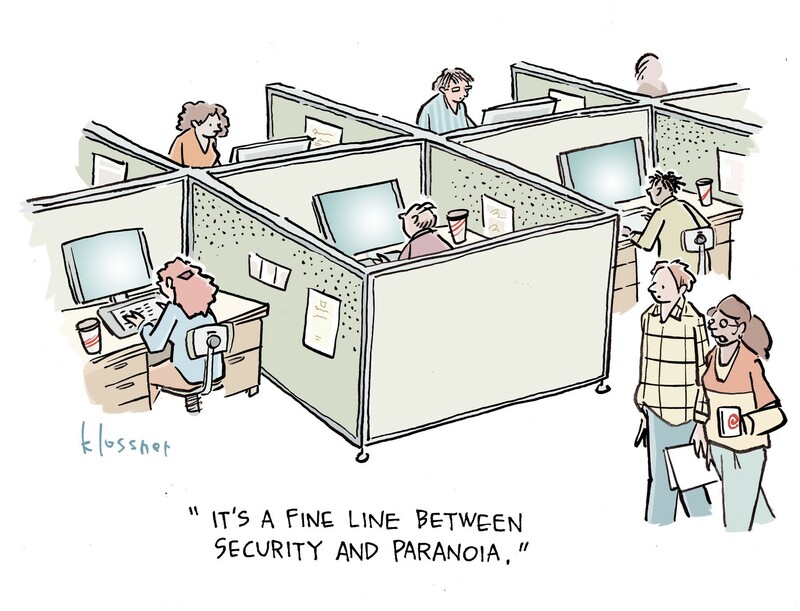 All security teams are busy, but not all security teams are productive. The difference between the two is huge. The pace at which information security evolves means organizations must work smarter, not harder. Here's how to stay ahead of the threats. Or, questions vendors need to ask themselves before they write a single word of marketing material. As cybersecurity continues to become more of a mainstream concern, those of us who speak at industry events must learn how to truly connect with our audience. Or why it pays for small- and medium-sized businesses to plan strategically but act tactically. Security leaders in small and medium-sized business who want to up their game need to first identify where they are now, then, where they want to go. Helping improve the security posture of small and medium-sized businesses should be a priority for security organizations of all sizes. From the vantage of our business colleagues, security professionals are a cranky bunch who always need more money, but can’t explain why. Visualization can be one of the most powerful approaches a security team can use to make sense of vast quantities of data. So why does it end up as an afterthought? Security operations capabilities for the masses is long overdue. Here’s how to find a solution that meets your budget and resources. “Those who know do not speak. Those who speak do not know.” Why it pays to take a hard look at our own incident response functions and operations. Threat intel is a hot but complicated topic that encompasses a lot more than just data feeds. Here's how to get beyond the fear, uncertainty, and doubt to maximize its potential. The endpoint detection and response market is exploding! Here’s how to make sense of the options, dig deeper, and separate vendor fact from fiction. The game of 20 questions is a great way to separate vendors that meets your needs from those who will likely disappoint. Why being practical and operationally minded is the only way to build a successful security program. Filling critical information security roles with the right people is never easy. But learning how to separate the 'wheat from the chaff' is a smart step in the right direction. How open communication among security execs and analysts, incidents responders, and engineers can help organizations stay on top of the constantly changing threat landscape. All the world may be a stage, but in the theater of cybersecurity, we need a more relevant dialogue of fresh ideas, novel approaches, and new ways of thinking. Organizations that practice what they preach and match their actions to their words do far better achieving their goals than those that do not. Here's why that matters. In a business world dominated by the cloud, security ops has to change the way we play the game in order to accomplish our strategic goals. Public Vs. Private: Is A Prestigious Infosec College Degree Worth It? Today's graduates coming into the information security industry from private universities aren’t ready for the workforce. Analytical skills, work ethic, an ability to overcome obstacles, and a natural drive to solve problems are the critical hiring factors in today’s tight job market. Building a matrix that measures people, process, and technology against security goals is a proven method for reducing risk in an organization. Here’s how. What a crooked haircut can teach you about framing the discussion about organizational security goals and strategies. Mature & Unconfident: The Best Information Security Teams Ever! Security through maturity and humility is a workable philosophy with proven results for organizations that are willing to give it a try. Here’s why. It’s now possible to architect network instrumentation to collect fewer data sources of higher value to security operations. Here’s how -- and why -- you should care. How classic themes about listening, honesty, and truthfulness can strengthen your organization’s security posture, programs and operations. You can't analyze what you can't see. True at the dentist and true in security. Only detection and response can complete the security picture that begins with prevention. What a haircut taught me about communicating the value of security to executives and non-security professionals. Breaking the enigma of InfoSec into smaller bites is a proven method for building up an organization’s security capabilities. Here are six steps to get you started. People, process, and technology are all integral to a successful infosec program. What’s too often missing involves the concept of workflow. What’s missing in today’s chaotic, alert-driven incident response queue is the idea of a narrative that provides a detailed understanding of how an attack actually unfolds. When security analysts are desensitized to alerts because of sheer volume, they miss the true positives that can prevent a large-scale data breach. Here's how to up your game.